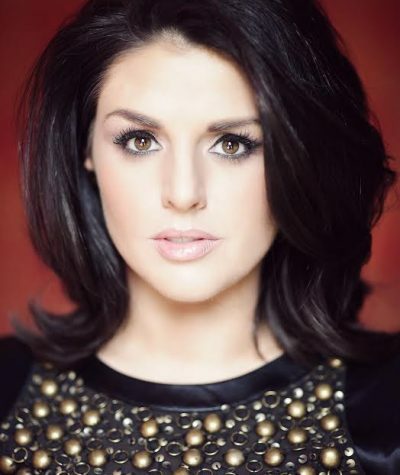 TV and Radio Broadcaster Síle Seoige is a regular host at events and award ceremonies throughout the year and is known as a true professional with a friendly, down to earth style. Fluent in Irish, she has developed a wealth of experience over the past eighteen years in the media industry and has worked on a variety of successful and well-received projects for RTÉ, TV3, TG4 and Oireachtas TV in Entertainment, Daytime, Lifestyle, Factual, Young Peoples, Sports, Comedy, Weather and News and Current Affairs programming. Previous television credits include, flagship daytime show Seoige (co-presenter), weekly regional and community affairs programme Pobal (presenter), live coverage of the St. Patrick’s Day Parade (presenter), travel programme No Frontiers (guest presenter) primetime TV3 show Songs Of Inspiration (presenter),primetime entertainment series Class Act (co-presenter), live coverage from Leinster House for Oireachtas TV(presenter), Nationwide (presenter), Up for the Match (reporter), daily daytime show Late Lunch Live (guest co-presenter) Seven O Clock Show (guest co-presenter) The All Ireland Talent Show (advisor) and Winning Streak (guest presenter) as well as a number of Irish language programmes for RTÉ and TG4, including TG4’s cult dating/fashion series Paisean Faisean (presenter), entertainment talent series Feis and Blood (presenter), ‘GIG – an gaeilgeoir is greannmhaire’ (presenter), searching for the funniest Irish speaking comedian in Ireland and as a judge in talent show ‘Busker Abú’ a brand new TV series searching for the best busker in the land also on TG4. Radio has also been a big part of her career. She spent over three years fronting her own 2 hour live talk show on Saturdays from 12-2pm on Newstalk 106-108 called Shenanigans with Sile. The show was a great success and she continued to grow her listeners year on year. She has also worked on a number of other radio shows down through the years, including a stint on RTÉ Radio 1’s Today with Pat Kenny, presenting on pop up radio station ‘Walk in my shoes radio’ dedicated to promoting positive mental health, Beat 102-103, iRadio and Sunshine106.8. Singing is also a passion of hers.In December 2014 she had great success with a song she recorded to raise money for two very worthy Irish charities, taking lead vocal on ‘Maybe This Christmas’; it was a top 10 hit for 3 consecutive weeks in the Irish charts. In March 2015 she made her acting debut as ‘Surfia’ in smash hit comedy musical ‘I Keano’ in the Olympia Theatre receiving rave reviews during it’s extended run. She also supports various charities and is proud to be an Ambassador for Make-A-Wish Ireland and Tour De Force cycle.